The goal of Facebook’s News Feed is to show people the stories that are most relevant to them. That’s no small task when you have over 1.65 billion people to keep happy and over 1,500 stories per day to prioritize for each of those individual users. Now, Facebook has announced one of their most significant News Feed shuffles. On Wednesday, Facebook shared that the News Feed algorithm is going to shift so that it will more favorably promote content posted by the friends and family of users. These changes are likely to mean that content posted by brands and publishers will show up less prominently in News Feeds. In the announcement, the company explained their priority is keeping you connected to the people, places and things you want to be connected to – starting with the people you are friends with on Facebook. Back in April 2015, Facebook made a similar algorithm update trying to ensure that stories posted directly by the friends you care about will be higher up in News Feed, so you are less likely to miss them. But based on feedback, Facebook understands that people are still worried about missing important updates from the friends. This update is likely to affect all types of content posted by brands and publishers, including links, videos, live videos and photos. Facebook said it anticipates that this update may cause reach and referral traffic to decline for many Pages who’s traffic comes directly through Page posts. The update will have less of an impact, however, if a lot of your referral traffic is the result of people sharing your content and their friends liking and commenting on it. Links or Page content shared by friends or content your friends interact with frequently will still appear higher in the feed. What do users expect from the News Feed? Facebook’s success is built on getting people the stories that matter to them most. To help make sure you don’t miss the friends and family posts you are likely to care about, Facebook try to put those posts toward the top of your News Feed. The News Feed learns and adapts over time based on the content you interact with the most, too. For example, if you tend to like photos from your sister, they’ll start putting her posts closer to the top of your feed so you won’t miss what she posted while you were away. The News Feed should inform. People expect the stories in their feed to be meaningful to them – and we have learned over time that people value stories that they consider informative. Something that one person finds informative or interesting may be different from what another person finds informative or interesting – this could be a post about a current event, a story about your favorite celebrity, a piece of local news, or a recipe. Facebook’s algorithm is always trying to better understand what is interesting and informative to you personally, so those stories appear higher up in your feed. The News Feed should entertain. Facebook also found that people enjoy their feeds as a source of entertainment. For some people, that’s following a celebrity or athlete; for others, it’s watching Live videos and sharing funny photos with their friends. Again, the company’s News Feed algorithm tries to understand and predict what posts on Facebook you find entertaining to make sure you don’t miss out on those. Despite its venture into publishing and partnerships with large news and entertainment brands, at its heart, Facebook is still a place for friends. And without solidifying our connections with those closest to us, Facebook could face struggles to keep its 1.65 billion monthly active users coming back. To understand the inner-workings of social networks and what makes us keep using them, the Swiss Federal Institute of Technology studied networks like Friendster and Myspace with the goal of figuring out what factors can be detrimental to a social network. They found that when the time and effort (the costs) associated with being a member of a social network outweigh the benefits, then a decline in users becomes likely. If one person leaves, their friends become more likely to leave and as more people leave, this can lead to a cascading collapse in membership. Networks like Friendster and Myspace were the Facebook of their day. Both had tens, and eventually hundreds, of millions of registered users, but what the study found is that the bonds between users weren’t particularly strong. Many users had very few close connections, and it appears there’s a direct correlation between how connected we feel to our friends and family and our affiliation with each network. For Facebook, the News Feed is the most integral part of their product to make us feel connected with those we care about. And as such, it’s important for Facebook to keep the content we want to see the most at the top of the feed. How will this update impact business Pages? The changes will affect all types of content posted by Pages, including links, videos, live videos and photos. In their “News Feed Values” shared alongside this announcement, Facebook made it clear that content from friends and family will come first. And the company also highlighted the importance of authentic communication and being inclusive of all perspectives and view points without favoring specific kinds of sources – or ideas. We expect that this update may cause organic post reach and referral traffic to decline for some Pages. The impact will vary for every page and will greatly depend on the composition of your audience or the way in which your content is shared on Facebook. For example, if a lot of your referral traffic is the result of people sharing your content and their friends liking and commenting on it, there will be less of an impact than if the majority of your traffic comes directly through Page posts. As with all Facebook algorithm updates, it may take a little time to determine exactly what will continue to work and how to increase organic reach (though Facebook feels like it’s shifting more towards a pay-to-play market for businesses). One tactic that could become increasingly important is the amplification of brand content. With Facebook favoring content shared by users rather than Pages, it feels essential to find new and innovative ways to encourage your audience to share your content directly to Facebook. Ensuring your content is discoverable away for the Facebook News Feed could be another key play as well. It also feels important to keep a focus on what people are looking for from the News Feed. As mentioned earlier, aside from friends and family, Facebook users turn to the News Feed to be informed and entertained. With those goals in mind, it’s worth thinking about how the content you create for Facebook can satisfy those desires. In their announcement, Facebook says their work is “only 1 percent finished” so it feels like there are plenty more twists and turns ahead for the News Feed. I’d love to hear your thoughts on this update and how it may affect the way you use Facebook and the types of content your share? Please feel free to leave a comment below and I’m excited to continue the conversation with you. The company said the crash took place under “extremely rare circumstances,” and that it was fatal because of where the Model S hit the trailer. It added that Autopilot is disabled by default and that a driver must explicitly acknowledge it’s experimental technology before using it. Tesla released Autopilot on some of its vehicles last year. The limited autonomous feature allows the car to drive itself on major highways in the four states — California, Florida, Michigan and Nevada — plus the District of Columbia that have legalized self-driving cars on major roadways. When on private property, Tesla owners can summon their Autopilot-enabled cars with the click of a button. Tesla said the feature is disabled on public land, so the car can’t drive through a parking lot to meet its driver at the entrance to a store, for instance. The probe by the National Highway Traffic Safety Administration may become a setback for the growing number of tech and car companies investing heavily in autonomous driving technology. Regulators scrambled last year to write new rules for self-driving cars after Tesla announced hasty plans to release its limited Autopilot feature. But by then, the company had already sent ripples through the auto industry. In January, at the Consumer Electronics Show — more or less the Detroit Auto Show of tech — it seemed nearly every major car company unveiled some kind of autonomous feature. The first death in a self-driving car could stoke fears over the technology and temper the industry’s growth. Facebook planted a flag Wednesday, declaring that the site will give greater weight to material posted by your friends and deemphasize content published by businesses and media outlets. The social network approached the issue with a rare bit of candor, stating that the change to its News Feed will likely hurt traffic to external websites. “We anticipate that this update may cause reach and referral traffic to decline for some Pages,” Lars Backstrom, engineering director at Facebook, wrote in a blog post. Adam Mosseri, a vice president of product management at Facebook, doubled down in a statement to reporters. “I’d expect reach for publishers to go down a small amount but a noticeable amount,” he said. This could have unintended consequences for people who rely on Facebook for news — and there are a lot of them. A recent report from the Pew Research Center found that 44 percent of Americans get news from Facebook — a bit more than 142 million people, all told. That same report found that 64 percent of Americans who receive news on social media use only one site. Maybe that’s not the best practice, but it is what it is. Now, as a consequence to prioritizing content from your friends over pages that you “like,” Facebook may end up making you less informed about the outside world on balance. The Huffington Post asked Facebook for more details about what the shift will actually mean. It didn’t get very specific. Is a picture of your nephew getting married “news”? If so, is that more important than a breaking article about a terrorist attack? Who knows? Facebook is willing to guess based on what you’ve interacted with before. And as of Wednesday, you’re more likely to see that news article if a friend posted it instead of a brand. That seems reasonable, unless your friends don’t post news. Or if your friends are all the same political party. While it’s still possible to manually shape your feed with the “See First” button, many people passively rely on the site for much of their information about the world. Now, they’ll be more reliant than ever on what their friends decide is important. For that reason, some welcomed the change as a happy reversion to what Facebook once was — a place to connect with friends and family, not a news outlet. But that’s not what Facebook is anymore. “Measured by web traffic, ad revenue and influence over the way the rest of the media makes money, Facebook has grown into the most powerful force in the news industry,” Farhad Manjoo wrote in The New York Times following Wednesday’s update. Facebook’s algorithm tweaks always tend to send the media into a frenzy. And yes, that’s partially because writers rely on Facebook to reach their audience and get paid. But Facebook CEO Mark Zuckerberg has repeatedly said that his company’s goal is to “connect the world.” What’s the best way to achieve that? You can decide for yourself, but it won’t matter. As before, Facebook has already made the choice for you. Sony Interactive Entertainment expands its live media efforts to Android. The company is launching its PlayStation Vue subscription-based internet TV service on the Google mobile operating system today. If you already have a membership, which starts at $30 per month, you can log in and start watching your shows on the go immediately. PlayStation Vue was already available on iOS in addition to PS4, PS3, Roku, and Amazon Fire TV. The $108 billion cable-provider business is dealing with a growing consumer exodus as some people are choosing to “cut the cord” in favor of innovative web-based providers like Netflix, Twitch, and YouTube. With Vue, Sony is attempting to cause some market disruption of its own by providing live broadcasts of channels like USA, AMC, and ESPN directly over the internet along with DVR-like recording options and video-on-demand. In addition to the launch of the Android app, Sony has also updated the experience on its consoles. The channel guide on PS4 now puts a video thumbnail of your current show in the corner so that you can keep an eye on the action while seeing what’s on next. Vue engineers have also introduced a quick-navigation menu that includes the much requested “last channel” button. This new menu is also introducing quicker ways for subscribers to get to their My Shows, Guide, Explore, and Search areas. These improvements should come as welcome additions to Vue members as should the Android support. And Sony will need to keep its subscribers happy as it isn’t the only player in the web-TV space. A program called Sling Television offers a similar lineup of channels and starts at $20 per month. It is on Xbox One as well as mobile and media boxes like Apple TV and Roku. Thanks to Marvel Studios and their prolific use of post credits scenes (spoiler alert don’t click the link if you are not up to date with the Marvel Cinematic Universe), my wife and I now sit through the entire credits of any of their movies. One of the things that I noticed is how directors, producers, and top billed stars have personal assistants (some might even have two personal assistants). I guess when you’re paid in seven or eight figures, you can splurge a little and let someone else handle the less interesting parts of your job. But on the practical side, it also makes sense given how busy some of these individuals are. And it’s not just Hollywood types that are taking advantage of personal assistants. A search of LinkedIn for people with the job title “Executive Assistant” returns about 1.7 million individuals and the title “Administrative Assistant” has almost 2 million people with that job title. It’s clear that busy people are benefitting from having assistants to help them through the day to day. Now wait, you are probably saying – I’m pretty darn busy myself! And it’s true that for most working professionals the “40 hours a week” work week is more like 50 hours a week (or more). And when it comes to tasks like picking up dry cleaning or scheduling an oil change, I’m sure we all wish we had a personal assistant to take care of the less challenging aspects of our to-do list. It’s a LOT to keep track of! And if you focus too much on any one aspect of the job, you run the risk of something else falling through the cracks. That’d be pretty cool, right? Now before you head down to your boss’ office requesting an assistant in the name of “providing an outstanding customer experience,” maybe we can leverage technology to help us do all of that! If you’re reading this blog post you are likely pretty familiar with Gainsight and some of the key value that Gainsight delivers. Things like: reducing churn, lowering customer acquisition cost, increasing renewal and expansion revenue, and expanding customer advocacy. These are the important Board of Directors-level objectives that really impact the bottom line. Now, all of that is fine, well and good – but what about the individual CSMs who manage a portfolio of customers? How can Gainsight help them be more efficient, stay on top of their book of business more effectively, and maybe get out of the office before 5:15 on a Friday? Let’s take a look at some common CSM tasks and how Gainsight (your ‘CSM personal assistant’) can tackle those for you. Before you meet with your customers, it’s probably a good idea to scan the relevant information associated with their account. Things like recent and open support cases, open calls to action, current health scorecard (and recent history), recent Chatter comments, current usage (and recent history), recent activity on your community portal, recent NPS, and other survey responses. You might also want to remind yourself of their annual spend, renewal date, and number of users. All of this research can take time and is comprised of data in multiple systems. Your “CSM personal assistant” – in this case Gainsight’s Customer 360 View – can help. With a single click, all of this information is at your fingertips and meeting prep time is cut from many minutes (or hours) to a few seconds. An added plus related to the previous topic is when a member of management or an executive is interacting with one of your customers and asks for some aspect of data associated with that account. Instead of this request disrupting your schedule for the day while you research and consolidate this information to send to them, they can have the same access to all of this information via the Gainsight platform. Sales and support reps can also access all of this information so that every interaction with a customer is informed and current. Your ‘CSM personal assistant’ saves the day again! You have lots to do, but letting a renewal lapse or not noticing a downward trend in customer health would be a critical miss. It’s true that your ‘CSM personal assistant’ pulls all of this data into a consolidated view through the aforementioned Customer 360, but if you manage a portfolio of customers, it would be fabulous if Gainsight could also watch all of your accounts for you. This is one of the powerful aspects of the Gainsight platform – intelligent automation. By building instruction sets (rules), the Gainsight ‘CSM personal assistant’ can monitor any number of lifecycle or triggered behavior actions associated with your customers. All this is done completely automatically and if any of the watched events happens, not only is the CSM notified, but they can also be provided with a playbook of recommended actions, email templates to use, and integration with the company’s Chatter feed. When you are responsive to these types of triggers you will have overall more satisfied customers, a happier boss (and executive team), and you’ll experience less stress. 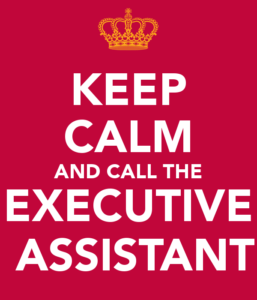 One of the the top responsibilities of any personal assistant is to make sure that you don’t miss any appointments or important events. If you’re like most CSMs, your week is filled with a combination of events, some of which are urgent priority and which must be managed immediately, some that are less critical but which still are up there in importance, and some of which are lower priority but which should not be forgotten. Gainsight acts as your personal assistant by giving you multiple methods to organize your workflow and a variety of ways to view your calendar and to-do list. Not only does the Gainsight Cockpit allow for almost any variation on sorting and filtering, but it also includes a calendar view which helps if you like to see these actions grouped by day/week/month. Again, the goal of the assistant here is to manage the little details so you are more productive, efficient, and competent. Who doesn’t want that?! This feature is so powerful that I’d be remiss if I didn’t give you a link to one of our amazing online reference articles to learn more. Personal assistants often manage routine or rudimentary communications on behalf of their bosses. In the realm of Gainsight’s ‘CSM personal assistant’ services, this takes on the form of automated emails and mass communications. 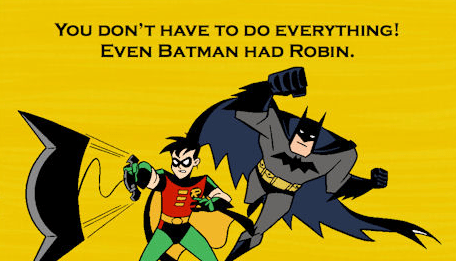 Here to save the day is Gainsight’s CoPilot tool. Perhaps you’d like to have all of your customers notified about an upcoming product release. CoPilot does that. Or maybe you’d like to send a customized report on utilization to each of your customer sponsors (including graphical reports with their unique customer data). CoPilot can handle that too. How about a special outreach to executives but only to your Northeast region customers who have an annual spend of over $100k. Yep, you guessed it – CoPilot has it under control. CoPilot can handle mass emailings, emailings with customer-specific reports and tokens, highly filtered recipient lists and more. And CoPilot can be configured to automatically send outreaches based on customer lifecycle events, risk triggers or any schedule that you desire. This kind of power is practically worth the price of admission all on its own, but your ‘CSM personal assistant’ is not done yet. How about providing analytics and details about the success of your email campaign? Yep, CoPilot does that too. Executive Business Reviews (EBRs) are excellent opportunities to demonstrate value to the customer decision makers, align on strategic goals and maximize adoption (and renewal odds). That’s some of the good aspects of EBRs. One downside is how long it can take to prepare an effective and detailed presentation deck. I think by now you know that I’m going to invoke the power of the ‘CSM personal assistant’ one more time! Imagine if you could task your personal assistant with pulling together all of the progress against customer specific strategic objectives since the last EBR, add in some graphical reports showing progress related to usage, support cases, or other key metrics and then merge all of that customer specific information with the standard deck that is being used by your CSM team this quarter. That would be a HUGE time saver. Once the personal assistant does the heavy lifting, all you have to do is review the information they gathered, add some finishing touches, and finalize the deck. When the time comes to prepare for the EBR, just pull up that customer’s C360 page and select Export > Quarterly Business Review. In a minute or two you will receive in your email inbox the completed deck, ready for your final touches. If you’re like me, any software tool or personal productivity hack that can give you more time while simultaneously making you better at your job is an easy win-win: a “no-brainer.” While we can’t all afford to hire personal assistants to make our jobs easier, tools like Gainsight can manage a lot of the routine tasks associated with being a CSM resulting in less oversight, more time to work with customers, and ultimately a healthier work-life balance. Now, if I can only figure out how to use Gainsight to pick up my dry cleaning! I guess I’m on my own for that one. The post Why Gainsight is my Personal Assistant appeared first on Customer Success Software | Gainsight. Lawyers for jailed Mexican kingpin Joaquín “El Chapo” Guzmán filed two appeals against his extradition late Monday night in Mexico City, according to the Associated Press. José Refugio Rodríguez, one of Guzmán’s attorneys, told the AP that the appeals argue that the statute of limitations on some of the charges leveled against Guzmán have expired and that some of the accusations against him are based on hearsay, rather than direct evidence. 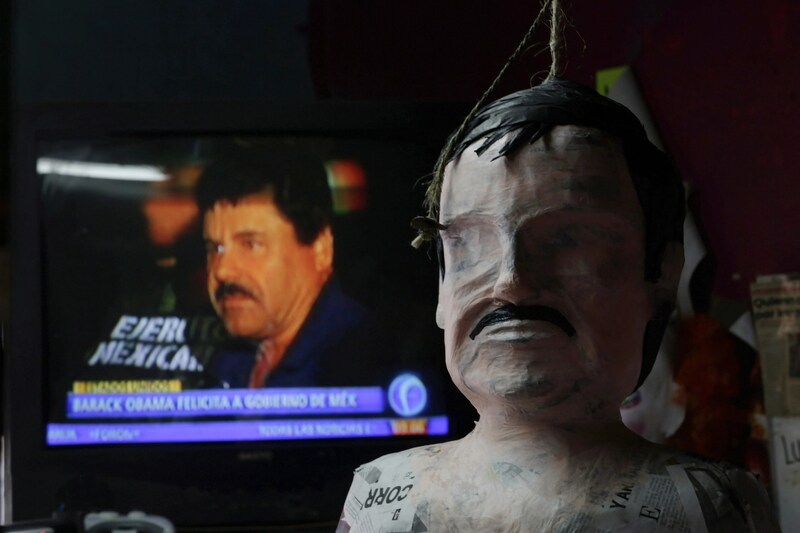 Guzmán’s appeals come a little more than a month after the Mexican government approved the drug lord’s extradition to courts in Texas and California. Despite the extradition’s approval, Guzmán’s legal team can still file injunctions against his transfer, and Rodríguez said on Tuesday that the process could take three years. In California, Guzmán has been accused of conspiracy to import and distribute cocaine, and he has been accused of criminal association, weapons possession, homicide, and money laundering in Texas. The Mexican government’s approval of Guzmán’s transfer north was conditioned in part on the US waiving the death penalty. Rodríguez argued there are insufficient guarantees that will happen, saying that the US embassy in Mexico doesn’t have the power to ensure it. While his extradition has only been approved to two US jurisdictions, charges are pending against Guzmán in five federal-district courts, including Chicago, Miami, and Brooklyn, New York. While the US government has not committed to a venue for his trial, should he be transferred to the US, many see Brooklyn as a strong candidate. Guzmán is currently detained outside of Ciudad Juarez, just across the border from El Paso, Texas. 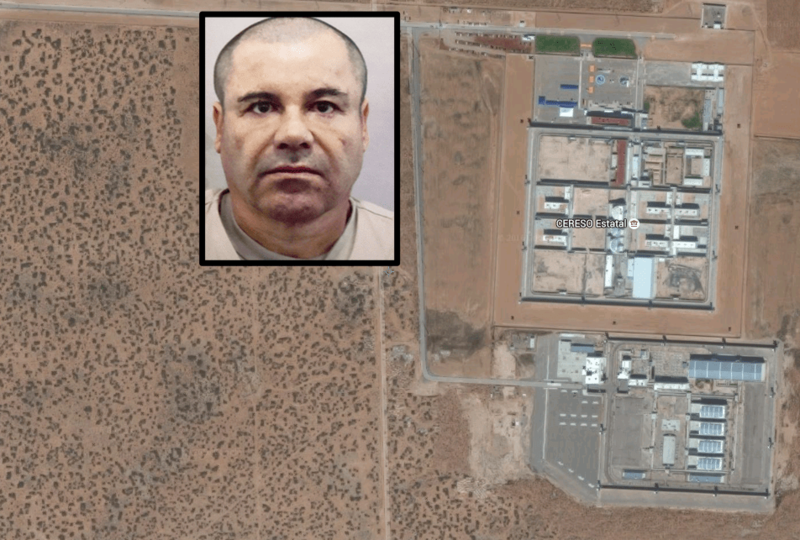 He was suddenly transferred there from Altiplano federal prison in central Mexico in early May, reportedly because of fears he was plotting another breakout. While Guzmán is secure in jail – for the time being, at least – reports indicate that his home turf may be veering into chaos. Earlier this month, scores of armed men raided the town where the kingpin was born, leaving several people dead. The attackers were reportedly backed by elements of the Beltran Leyva Organization, a once powerful cartel that has warred with Guzmán’s Sinaloa cartel since 2008. I’m guilty of it myself, and I completely understand why many of us write articles that are a little similar and repetitive. It’s because they work. You could argue that content is becoming less art and more science. There are formulas to it – if you find the best keywords and write the correct content, you can build a high-traffic blog (that’s almost a guarantee). Even if someone clicks on your article, the likelihood of them taking it all in is very slim. The internet has changed many of our habits. But one thing that hasn’t changed in nearly 20 years is the way we consume content online. Most of us still skim and rarely read a full post. We pay more attention to time spent reading than number of visitors at Medium because, in a world of infinite content – where there are a million shiny attention-grabbing objects a touch away and notifications coming in constantly – it’s meaningful when someone is actually spending time. Maybe we need to stop focusing on how we can hack and grow the number of views our content gets. And instead, focus on how we can make each reader care about what we’re saying. By running an NPS survey on your blog you can begin to understand how many of your readers truly value the content you’re creating and whether they would be happy to share it with their networks. You can also create your own survey using a tool like Typeform and distribute it to your readers. One thing that feels important to be mindful of is ensuring you reach all kinds of readers with your survey. For example, sending it only to your email subscribers could slightly skew results as they’re likely to already be your most engaged readers. With all these options and ways to interact with content, you could argue that a blog comment is losing its relevancy – or on the contrary, you could see it that the value of a blog comment is rising. On the Buffer blog, we strive to deliver content that helps readers solve a problem or challenge they face in their every-day work environment. This means we like them to be able to read a post and directly action something they’ve learned from it. What makes a piece of content unique can vary from post to post. Sometimes it can be timing that makes a post unique, for example, when we published our post on Twitter Polls it was launched shorty after Polls were publicly announced and was one of the first guides on how to use the feature. Between filming seasons of “Game of Thrones,” Kit Harington has kept busy by embarrassing himself in “Pompeii” and repeating the same mistakes in “Seventh Son.” Now, he lends his likeness to the “Call of Duty” video game series for its latest installment, “Infinite Warfare.” Better luck this time? Harington is set to inhabit the role of SetDef Admiral Salen Kotch of the Olympus Mons, which, according to the game’s official Facebook page, might be his darkest yet. Three images of Harington on set were released earlier this month, featuring a behind-the-scenes look at the motion capture process. And no, even a hideous mo-cap suit can’t dim his appeal. “[Harington] saw it as an opportunity to be part of this compelling narrative, which is what excited him, and the chance to play a villain,” Kurosaki explained.